Posts about celebrities passing away are not something I typically cover, but this time it’s different. Let me explain. Today, an iconic actor named Larry Hagman died. For those of you who don’t recognize that name, take a look at his lengthy filmography. He is often remembered for his role as JR on the TV series “Dallas.” I, however, know him a different way. I am often asked where my gamertag comes from. It’s a pretty simple story really. A few years ago our TiVo recommended an episode of “I Dream Of Jeannie” starring. 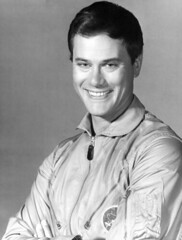 Larry Hagman, At the time I was trying to come up with a Gamertag and I was stumped but watching Hagman play this cool astronaut named Major Nelson, inspired my new gamertag. It had to be Major Nelson. So while I may have borrowed the name of his character, Larry Hagman, he is in fact, the real Major Nelson.